The public is ready for zero-emissions, and the realities of climate change demand it. Thanks to government policymakers and industry’s response to the challenges, we see new technologies solving air pollution problems with increasing frequency. Let’s look at why hydrogen is taking a leading role, and how we can continue to push this technology forward, together. What’s So Great About Hydrogen Technology? When looking at storing and transporting low-carbon fuel, hydrogen is an excellent alternative to electricity. It stores far more energy than batteries—at a fraction of the weight. Also, hydrogen powered fleets place less burden on the electrical grid, and fueling is fast and easy. How Do Hydrogen Fueling Stations Work? Refueling a hydrogen-powered vehicle takes the same time as refueling a gas tank: about five minutes for a car and ten minutes for a transit bus. It’s simple: you drive into a fueling station, place a fuel dispenser in your tank, and fill ‘er up. One of the best things about hydrogen refueling infrastructure is that communities can install it in existing fuel stations and depots. 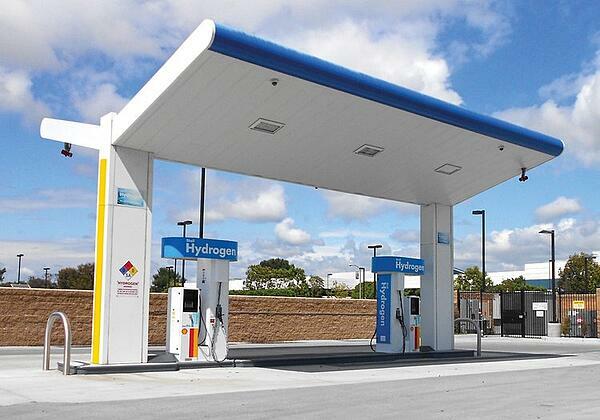 Hydrogen fueling stations are also easily scalable, similar to CNG (compressed natural gas) stations. They also use much less real estate than individual charging stations. Where Do We See Hydrogen Fueling Stations Popping Up? Across the world, big industrial players are investing in hydrogen refueling infrastructure. Let’s take a look at what Shell is doing. The global powerhouse is positioning itself to be a leader in hydrogen refueling. For example, in Vancouver, BC, they recently opened Canada’s first public hydrogen fueling station. Two more stations are planned for the city and many more across the nation. This isn’t an isolated incident - Shell’s agenda is to apply these systems worldwide. They have also installed hydrogen-refueling infrastructure in the UK, California, and Germany. 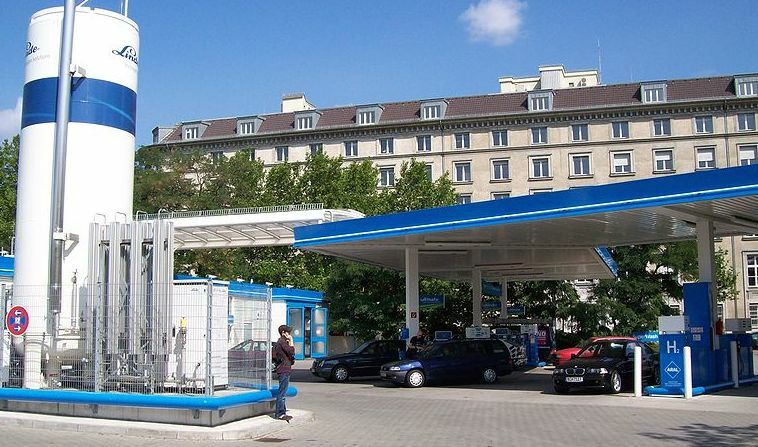 In Germany, they’re part of a joint venture that plans to install a network of 400 hydrogen stations by 2023. Shell also has several hydrogen fueling projects under consideration in the US, China, and a number of other European countries. Other major companies investing in hydrogen distribution include the Linde Group and Trillium. Others, like NEL and ITM Power are developing hydrogen production from renewable sources. In addition, Orkan recently opened two new public hydrogen stations in Iceland. And while these industrial leaders are showing the way, forward-looking public policy is essential in driving this transition forward faster. How Can Policymakers Continue the Transition to Zero-Emission? Government policymakers hold the power to move the world toward zero-emissions—or hold it back. We see the biggest growth in zero-emission adoption in areas that have emission policies and regulations in place. When emissions-based incentives and penalties appear, change begins to happen. In 2012, Governor Jerry Brown issued an Executive Order directing the state government to help accelerate the market for zero-emission vehicles. In 2017, the California Air Resources Board (CARB) approved the 2030 Climate Change Scoping Plan, which targets a 40% reduction of emissions from 2020 levels. California’s story shows the power of a strong regulatory framework coupled with incentives. It shows us what’s possible when governments take the lead on this imperative issue. Top-down policies from governments will make the world’s shift to zero-emissions faster and more complete. The public is ready. Major companies are ready. The hydrogen fuel cell industry is there to support these communities with realistic solutions. They’re ready to be implemented, without compromise in service. At the end of the day, it’s all about creating a better quality of life for people around the world. Providing cleaner air and better transportation are keys to building healthier communities that will thrive into the future. Download the white paper below for more information on hydrogen fueling solutions for North American transit operators. Download our free resource to learn about hydrogen refueling infrastructure for North American transit operators.